The financing agreement for the safeguarding of marine protected areas was signed on Friday 30 March 2018, in Dakar, between Amadou Bâ, the Senegalese Minister of Economy, Finance and Planning, and Christophe Bigot, the French Ambassador to Senegal, representing the French Development Agency. Bamboung, Songomar, Nianone-Kalounaye and Kassa Balantacounda are the four marine protected areas (MPAs) in Senegal and where biodiversity is protected, as these areas are also a guarantee of development for riverside populations. For example, the AMP of Bamboung in the Sine-Saloum currently has more than 75 species of fish according to the Research Institute for Development known by its French acronym as IRD and before its creation in 2003, this area had only 53. The regeneration of fish species is beneficial for fishers who are established in MPA right-of-way villages. 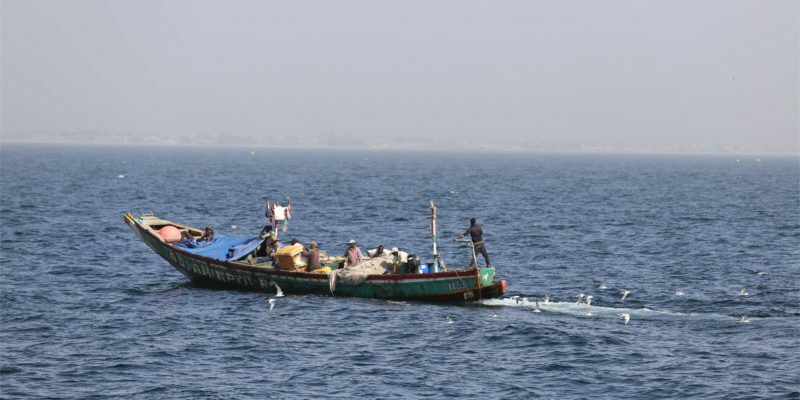 Aware of the importance of these marine protected areas, the French Development Agency known by its French acronym as AFD signed an agreement with the Senegalese government for 3 279 875 000 FCFA. According to Amadou Bâ, the Minister of the Economy, Finance and Planning who signed this commitment, the funding will help preserve biodiversity in Senegal’s coastal areas. Following the signing of the convention, Christophe Bigot, the French ambassador praised the efforts of the State of Senegal in the fight against climate change and the protection of the environment. Safeguarding MPAs must be a priority, especially with 200,000 people dependent on them throughout the country. But this money will not only be used to directly protect the environment. It is also about developing sustainable economic activities, as marine protected areas are currently under strong demographic pressure. “It is urgent that we find solutions to relieve the fishery resources,” the Research Institute for Development had pointed out in a report 10 years ago, which already reported on the situation in the Bamdoung area. This is why the money injected by the French Development Agency will also be used to develop economic activities in areas affected by MPAs. They will especially allow young people and women to turn away from fishing activities and this funding will also strengthen the legal framework and technical capacities of MPAs.